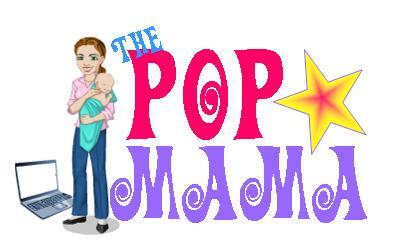 Pop Mama: I can relate. Because I love the lead actors so much and am a new-ish parent, I DVR'd the pilot of the new NBC sitcom Up All Night starring Christina Applegate (Reagan) and Will Arnett (Chris). I just watched it last night and am still giggling. The writing is hilarious and on point. It reminded me a lot of 30 Rock, which made sense once I saw that it was produced by Lorne Michaels. I feel like after a few failed attempts Will Arnett has finally found a vehicle that will work for him as a lead and Christina Applegate is his perfect foil. I have always found Ms. Applegate to be a gifted comedienne (hello, Anchorman) and I think this is the right show for her -- witty and relatable, with a talented cast to boot. Maya Rudolph, who plays Christina's Oprah-ish boss, is amazing (what else would she be?). I don't want to give too much away, but I can't resist recapping some of the pilot. The next episode airs Wednesday on NBC at 8pm -- Watch it! 1) Reagan and Chris are watching their new daughter sleep and they just keep saying how f-ing beautiful and f-ing amazing she is. Then Reagan says that they have to lay off the cursing...which they of course revert back to within minutes. I am not proud of it, but I sometimes have a prediliction for making my point using profanity. I have tried, somewhat successfully, to lay off the swear words around Cam -- both for my own improvement, but mostly because I don't want to have a toddler who says "sh$t" when he drops his sippy cup at daycare. 2) Reagan and Chris have one of those nights with their daughter where they take shifts getting up with the baby. In the morning neither one will be topped as to how much sleep they lost -- each thinking that he/she was the one up the most. Classic. Been there (and no, really I have lost more sleep than my husband -- much more). 3) Reagan and Chris go out for their anniversary, which is their first night out after the baby, and proceed to go overboard, partying all night and ending up with killer hangovers in the morning. Like Reagan, my first real night out on the town after Cameron was born did not end well. My husband was far better with "moderation" and didn't have the same experience of laying on the bathroom floor as I did. Hangovers feel worse (much worse) when you are a parent. Babies don't wait and you cannot just lie in bed or on the couch all day...The upside? When that hangover lifts and you have survived and parented that morning, you feel like a complete champ. I don't recommend parenting with a hangover, but it does give you the well-rounded parenting experience. I can't wait until the next episode. Enjoy your Tuesday. Oh, and I failed my glucose test (damn donnettes) and have to do the 3 hr marathon test later this week. I am mad and hoping (praying) that I do not fail the next one...I need a little dose of sweetness in my life!